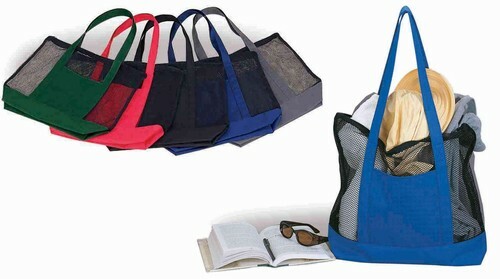 Black mesh tote with colorful 600D Polyster handles and bottom for extra durability. Large open front pocket for imprint. This light and airy tote is ideal for any outing, trade show, or travel.